of the Scottish Centre for the Book based at Edinburgh Napier University. Merchiston Publishing is the imprint of the Scottish Centre for the Book based at Edinburgh Napier University. The imprint acts as a vehicle for the Centre’s own publications and does not accept unsolicited submissions. The production of many of these titles is supported by charitable trusts and other bodies. Such copies are therefore distributed freely, although a handling charge applies. To find out more, please email scob@napier.ac.uk. Merchiston Publishing has some exciting new books! Edited by Christine Penman and Monika Foster. Available as both a print and eBook. In 2014/15, we worked on two live projects, one with Edinburgh publishers, Birlinn Ltd. In 2013 the students ventured into the realm of audio eBooks with Robert Louis Stevenson’s Olalla. This edition is also available in print edition with beautiful illustrations. 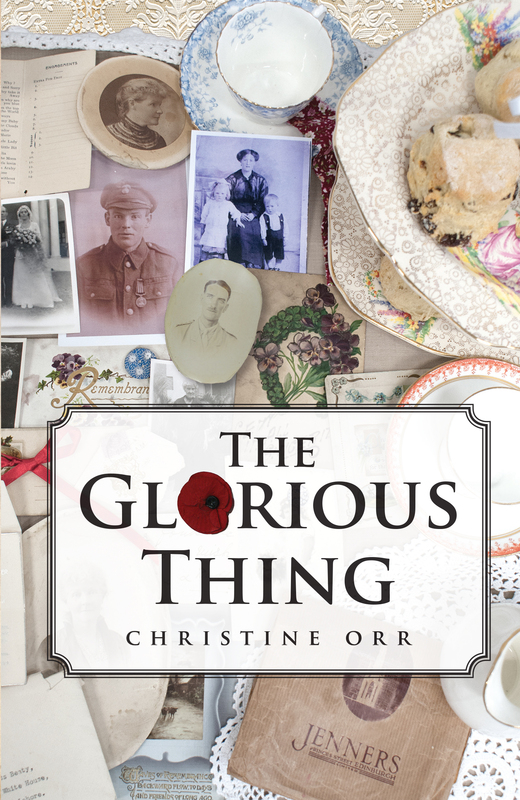 We also published two forgotten female authors – Catherine Carswell’s The Camomile and Christine Orr’s The Glorious Thing. The Camomile is a fascinating tale of a woman’s struggle between her heart and her art. Orr’s work explores the moral and social implication of the First World War in Edinburgh, a subject close to hearts of many. All three books are limited print edition and, as you can see, are very beautiful books. A vibrant collection of case studies by James McLevy. James McLevy was one of Edinburgh’s first detectives. His stories are said to be the inspiration for Arthur Conan Doyle’s Sherlock Holmes. Our brand new edition of Victorian crime short stories was featured at Bloody Scotland, Scotland’s first international crime writing festival. 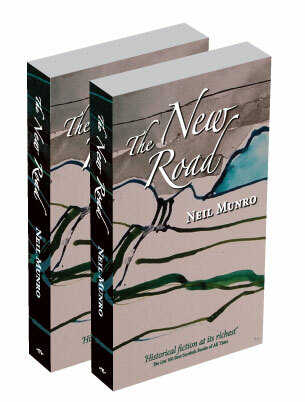 The New Road by Neil Munro is another titles that MSc Publishing students published as their live publishing project. The New Road launched at Edinburgh Central Library. On 12 July 2012 over 100 invited guests enjoyed an evening of music, readings and celebration of Gaelic culture when we unveil the first ever e-book, and a new print edition, of this classic Scottish novel. In 2012 MSc Publishing student worked on four new projects for Merchiston Publishing. The students branched into e-books – producing Lilith by George MacDonald and The New Road by Neil Munro. The New Road was also published as a paperback along with two other books. One is Treasure Island, a play script by Lynn Brittney. This is the first play script version of Treasure Island published for primary school children. 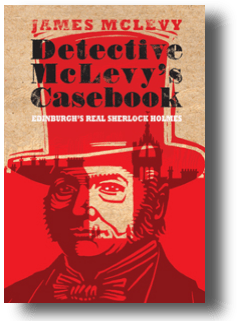 The other book is Merchiston Publishing’s first set of true crime short stories, Detective McLevy’s Casebook: Tales of Edinburgh’s Victorian Underworld. For more information about each title, please click on the links. Sign up to make sure you don’t miss out on exciting launch information and links on all current and future projects: Sign up here! This year’s Postgraduate graduation ceremony was particularly exciting for staff and students on MSc Publishing as it also marked the day that copies of Peter and Wendy were distributed to all the students involved in its creation. Our thanks go to Glasgow printers, Bell and Bain, for printing such a high-quality book and to the Edward Clark Trust for the funding. Copies of our MSc Publishing students’ new edition of Travel Light were distributed at the 2011 Edinburgh International Book Festival. The Kelpie’s Pearls was launched in the Grand Turmeau Hall, at Edinburgh Napier University’s Craighouse Campus on Thursday 19 May 2011. As this was a family friendly event, there was a variety of activities, including face painting, storytelling and games, as well as refreshments for the whole family. As you can see from the photos below, a fantastic time was had by one and all! The students who made it all happen! Find out more about our Postgraduate Publishing programme.